When it comes to getting rid of unwanted hair, we’re all familiar with messy shaving creams, the bumpy and painful effects of using a razor and the frequency needed to maintain that smooth look and feel. With shaving, it can sometimes feel as though that smooth, just-shaved feeling only lasts as long as it takes to get from home to the office. 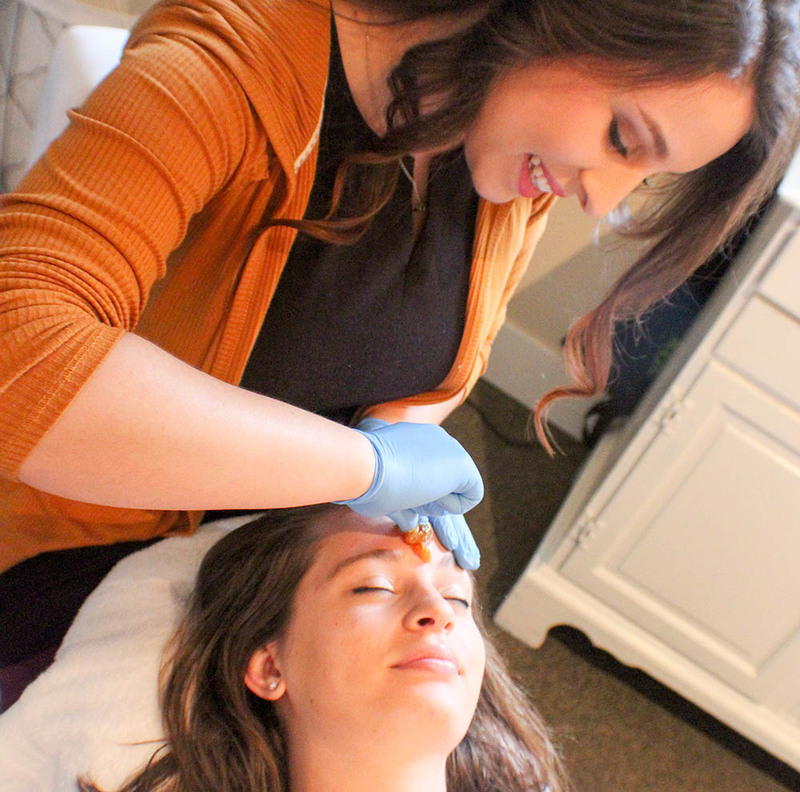 With Love Your Skin’s waxing Bend Oregon, hair is quickly removed at the root causing it to grow back much slower, leaving you with long-lasting results and lusciously soft skin. Hair removed by wax and sugar treatments is naturally weakened on removal, which causes it to grow back thinner, finer and softer overall. Not only will your skin maintain that touchably soft look and feel much longer, but waxing and sugaring acts as a natural exfoliant by removing dead surface skin with minimal irritation, which means less time to worry about razor burn and more time showing off your shiny, smooth legs. Sugaring is a method of hair removal, which has been practiced for centuries throughout Greece, Northern Africa and the Middle East. A gel is made from sugar, lemon and hot water – like wax, sugaring pulls hair out directly at the root. Sugaring is a natural alternative to laser hair removal and traditional waxing. Sugar treatments do not stick to the skin, but the hair itself, resulting in a comfortable hair removal treatment. The shape and thickness of your eyebrows can directly result in a younger and more polished appearance. Love Your Skin focuses on providing one-of-a-kind brow design. 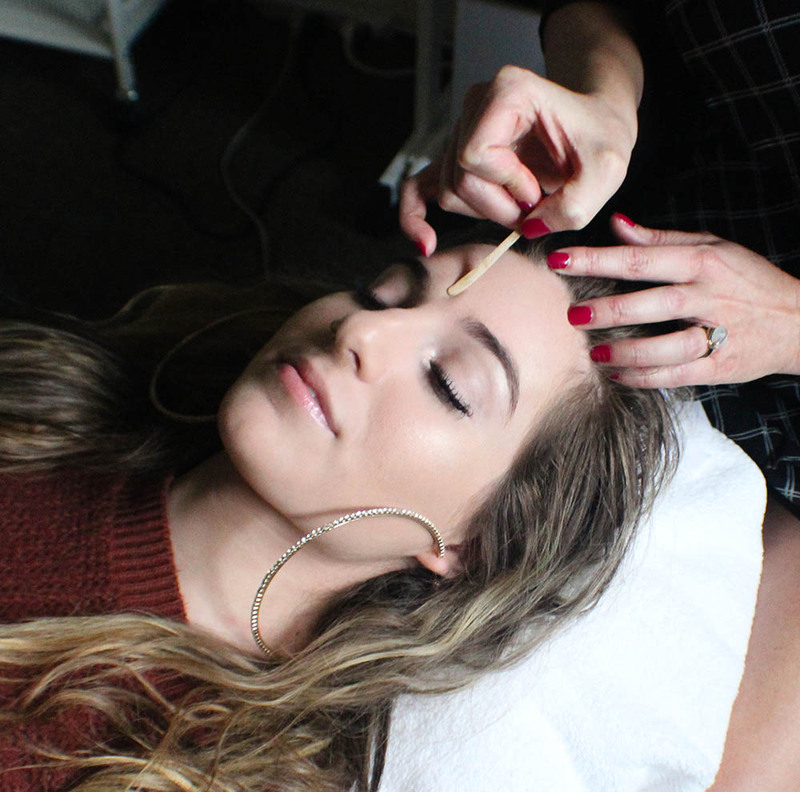 By analyzing the brow bone and its structure, we are able to create beautiful sets of arches using meticulous measurements and intricate design precaution leaving you with perfect eyebrows that highlight your cheekbones and eye shape every time. Review our waxing and sugaring services and then contact us to schedule an appointment today! *Full face wax or sugar does not include brow shaping. At Love Your Skin, we use only the finest skin care products when pampering you. It’s our professional opinion that waxing is just as gentle as sugaring, providing you use high-quality products and the perfect temperatures. Based out of the UK, Harley Wax causes little or no irritation and redness. It leaves no sticky residue and is suitable for all skin types. With a low melting-temperature, it’s perfect for those with sensitive skin. For eyebrow and eyelash tinting, Love Your Skin uses Augenblick tints. These dyes from Germany help create reliably colored eyebrows and eyelashes. Augenblick tints are great for professional brow and lash tinting. For sugaring, we use Sweet&True brand sugars. This product is an eco-friendly beauty alternative crafted with intention and positivity. This professional-grade sugar paste unites ancient practices with botanical complexes and food-safe ingredients.